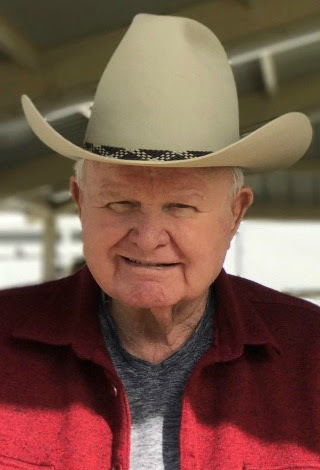 Send Photo of John Kay Sorenson Sr.
John Kay Sorenson Sr., age 81, born July 25, 1937, passed away peacefully at his home on Friday, September 7, 2018. He leaves behind a loving family that has a belief that through the atonement of Jesus Christ families can be together forever. John is the youngest brother of the Lehi Sorenson boys and he leaves behind a wonderful legacy. He was full of life and he will be sorely missed. His wife of 60 years is comforted at this time by her children and grandchildren, whom she and John love with all their hearts. John’s family looks forward to the day that they will be able to see him again. He is survived by his wife, Jeannine Hogle Sorenson; his children, Jon Sorenson Jr., Saralyn Rex (David), Sue-Ann Willis (Greg), and Sheri-Jo Trimmer; as well as 15 grandchildren and 6 great-grandchildren. A funeral service will be held on Saturday, September 15, 2018 at 11:00am, with a viewing at 10:00am, at the LDS Hermosa Vista Stake Center located at 2701 East Lehi Road, Mesa, AZ 85213. My prayers are with the family at this time of reflection. Brother Sorenson lived a life filled with love and dignity and a love of our heavenly father. I saw his love for his family in the reflection of Cole’s eyes as he spoke to me of his grandfather. We offer comfort to Cole here in Virginia as he senses the spirit of Brother Sorenson who now looks over him. He will greatly missed. My condolences and prayers for all of you. Much love, Nancy. He was one of those rare larger than life personalities that will be missed. I loved his sense of humor and his generosity. A snapshot of him from past memories are how much he loved each grandchild that came along. There is a picture of him loving baby Chas and looking at the beach in Hawaii that is a favorite. Another memory is how great the invention of the TV remote was. He was a straight shooter with no bull. I love and respect him with all my heart. Prayers and hugs to all the family. My love goes out to the entire family. He was an example to me when I was just developing a testimony and I was having hard times. Just watching the Sorenson family in action was such a blessing to me and my son Jeff. We are so sorry to hear of John’s passing. Our regards go to all the family. OUR PRAYERS AND THOUGHTS ARE WITH Jennine and the family.